First wave. Third aircraft to attack Möhne Dam. Mine veered left after dropping and exploded at side of dam. Len Chambers was born in Karamea, New Zealand on 18 February 1919. He joined the RNZAF in September 1940. After qualifying as a wireless operator/air gunner, he arrived in England where he was posted to a training unit and then 460 Squadron, an RAAF squadron. He flew on twenty operations there, before being transferred to 75 (NZ) Squadron, where he flew a further thirty-seven operations and became the Squadron Signals Leader. 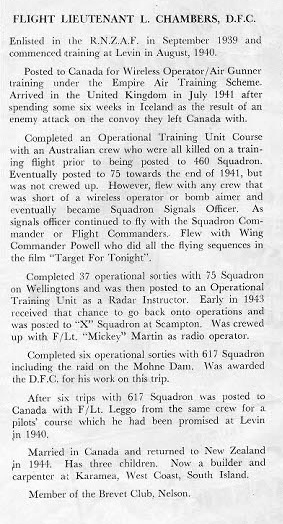 When Mick Martin joined 617 Squadron he brought most of his old 50 Squadron crew with him, but was short of a wireless operator, so Chambers was brought in. He was awarded a DFC for his part in the raid. After the raid, he flew on six further sorties before leaving 617 Squadron at the same time as Jack Leggo, in order to qualify as a pilot. However, he did not, apparently, ever fly on any operations in this role. He returned to New Zealand in November 1944, and left the RNZAF in 1945. After the war, he worked as a carpenter and builder. He died in his native Karamea on 1 March 1985. 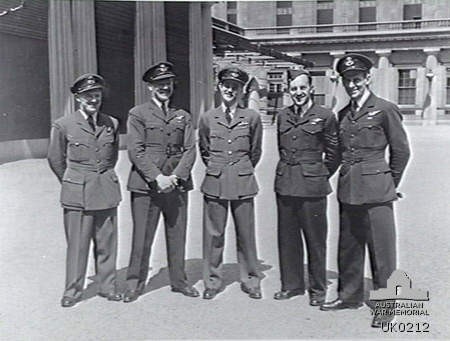 Further information about Len Chambers and the other 132 men who flew on the Dams Raid can be found in my book The Complete Dambusters, published by History Press in 2018. Leonard was a teacher at my school in the 1960’s, sadly not many of us were aware of his part in all this. I believe he taught technical drawing, although I stand to be corrected on that. I wouldn’t have been one of his star pupils, not very neat you see, just another snot nosed kid from the slums. The school was St Andrew’s Boys in Small Heath right next to Birmingham City Football Club. I think he was wasted on us, it was not really the land fit for heros that the politicians spoke of. I didn’t particularly enjoy my time at this school since it was one of several that I passed through as we moved home frequently to keep ahead of the demolition men as they sought to “improve” Birmingham. I’m glad that this list has been published and finally the men who served in this heroic act can be recognised for their part in it as well as the contribution of all the others who served. Sorry Robert but Len Chambers , my dad was a New Zealander and never taught in Birmingham. Cheers Sheila Reynolds (nee Chambers NZ). 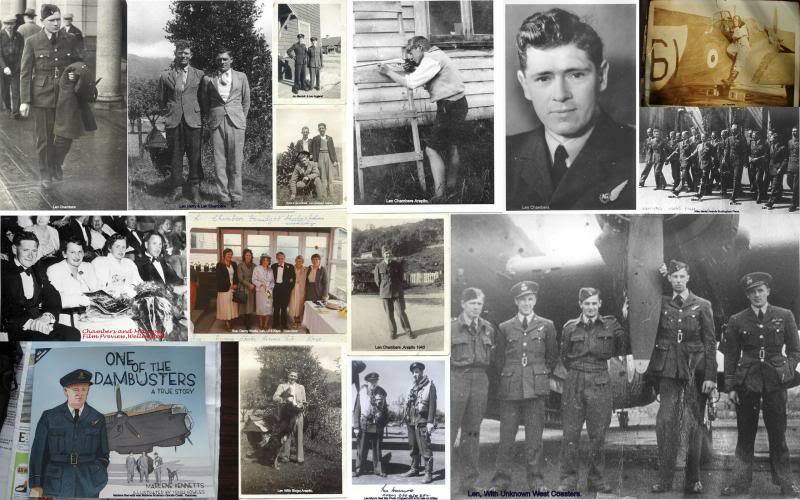 It was very interesting to find out that Leonard Chambers (my uncle) was one of the Dambusters from WW-II. Leonard married my dads sister (Lil) and it was only last weekend that we found all this information about my uncle. We were trying to locate their daughter, my cousin. Hi Randy my name is Dianna Lacey (nee Chambers) Len & Lil are my parents. Hi Randy my name is Dianna Lacey (nee Chambers) Len & LilChambers are my parents. Hi there. I am currently searching my biological family tree, and have found out that I am related to Len through my great grandfather; Groves Frederick Chambers. I understand Len’s parents were Groves Frederick & Amy Isabel. My grandfather Groves Edgar was from Groves Frederick’s 2nd marriage; to Elizabeth Alice.I have some birth, death & marriage certs, but I would love to know more about the family history. Sorry, wrong info. Seems there is a change of names, which makes everything very confusing. Can you please confirm that Leonard was born Thomas Gross, to Thomas Gross (born Frederick Groves Chambers), and Charlotte Heberley. Any info would be very helpful!! Groves Frederick Chambers was married to Charlotte Heberley. 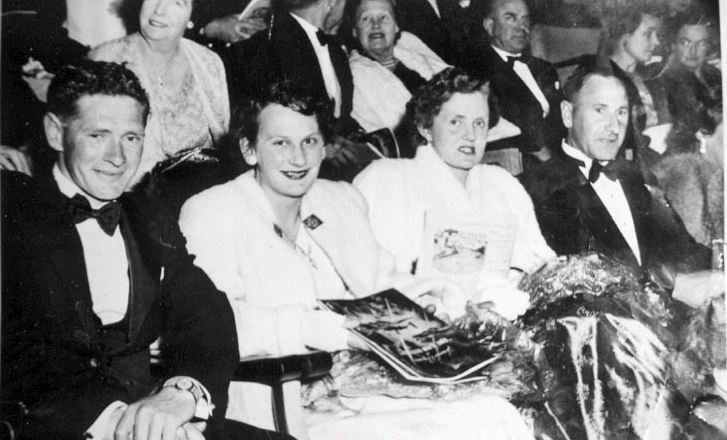 Their children were Frederick Groves (married twice – unsure of first, but second wife was Elizabeth Alice Ferris), Emily, Maud (who married Harold Olliver), George, Leonard and Florence. Their son Leonard had 9 children: Leonard, Rose, Edward, Dawn Winifred, May, Ronald, Maxwell and Noel. It is grandson Leonard or Lennie that flew with the dam busters. Ronald Chambers (The famous Dambuster Len Chambers) brother lives in Tauranga NZ. He is very proud of his Brother and has many memories and stories to tell on his late brothers behalf! Unfortunately, as Len has passed away he does not get enough recognition from NZ for his incredible bravery! Hi Moirai I am Sheila Reynolds (nee Chambers) Len is my dad. Yes we are all proud of him,and today we remember more vividly as it is Anzac Day and we always attended the service with our dad. Sad news is that our mum, Lill Chambers passed away on Easter Sunday 2015, so she never made the 100 year Anzabc Service in Karamea NZ. Take care. Yes Len Chambers,the second, was the DamBuster,he was my dad. His family called him Lennie. Would be great to hear what you have found out about dad,as he never talked to us about the war. I guess 4 girls did not help. Dad was a very gentle and pateint man,hard to imagine what he went through during the war. He was a wonderful father,taught me so much.